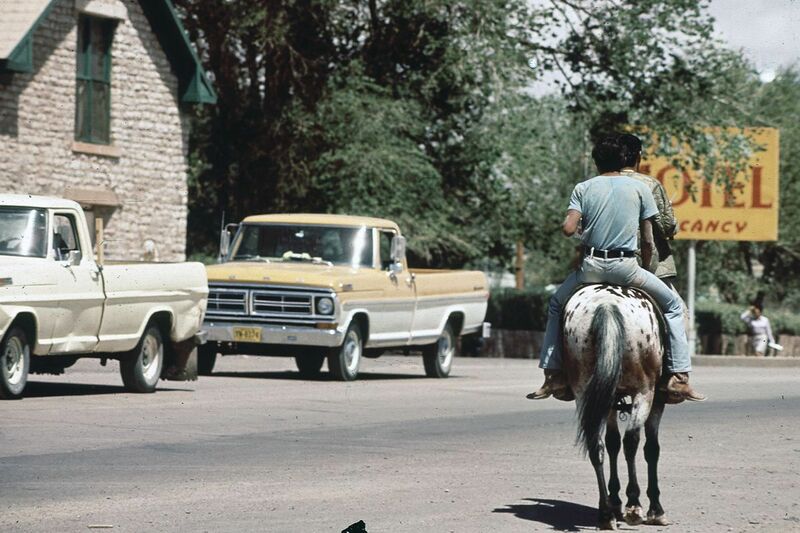 With camera in hand, photographer Terry Eiler ventured into Arizona's stark northeast corner in the early summer of 1972. 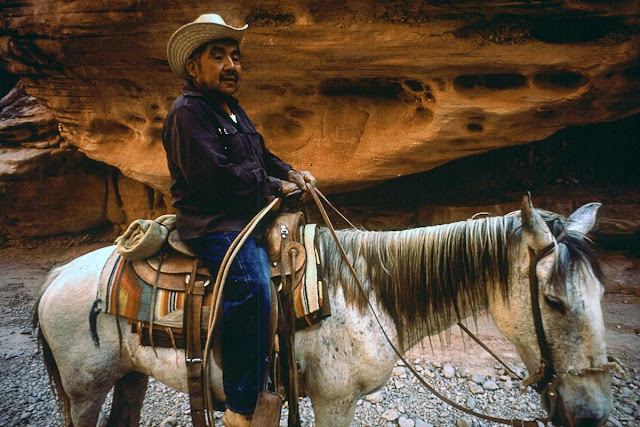 Hired by the Environmental Protection Agency, he was instructed to document how much the nation's growing environmental concerns were impacting the Navajo community -- a society that was often missed on the country's radar. 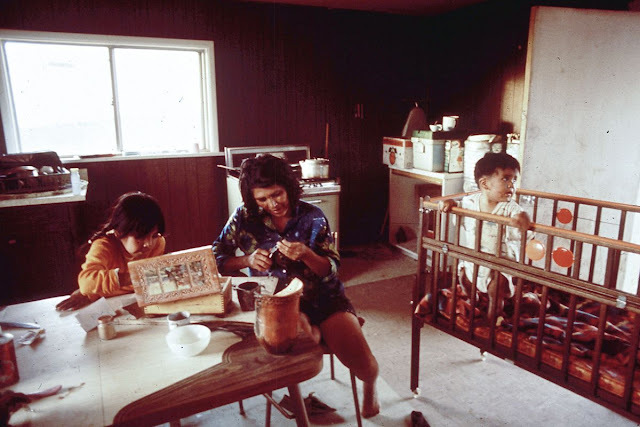 His images reveal a people who valued kinship and who had one noble -- and seemingly simple -- goal: the protection of a deeply-rooted culture. 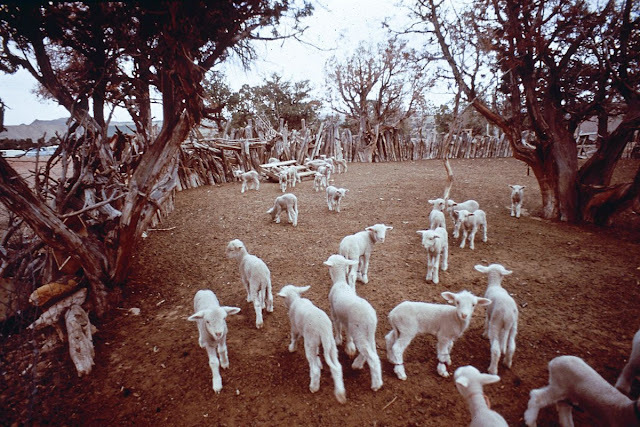 But it's also clear that Eiler found long-perpetuated hardships and a decisive resistance to most of modernity. 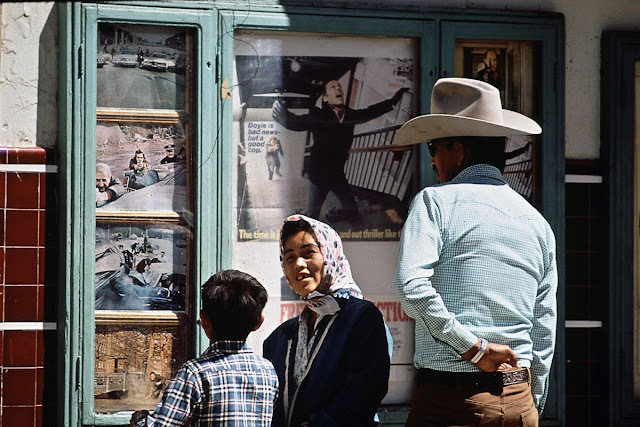 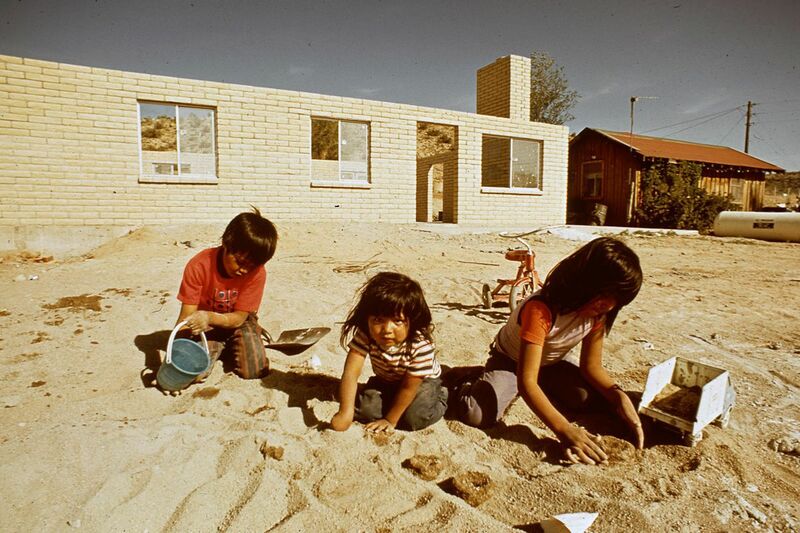 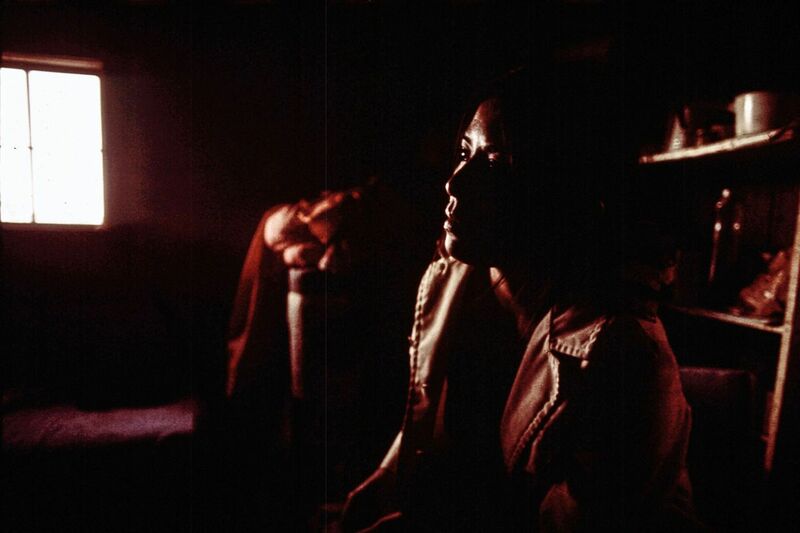 Looking through the gallery, we see that the standards of living in the 1970s were low, and that many Navajo families were struggling to make ends meet. 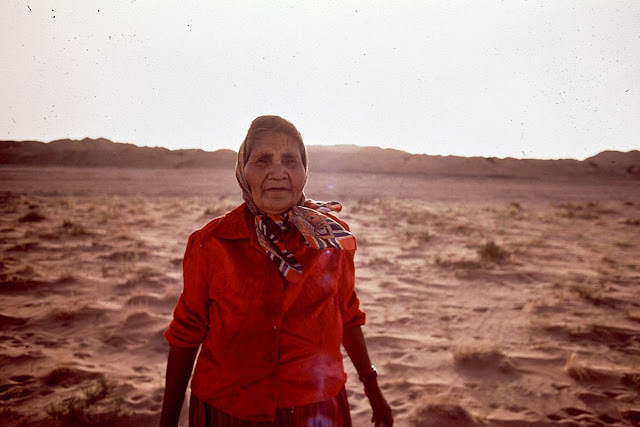 Although the mining of coal and uranium was a substantial source of income for the tribe during the second half of the twentieth century, Navajo miners often worked in dangerous conditions -- and for very low wages. 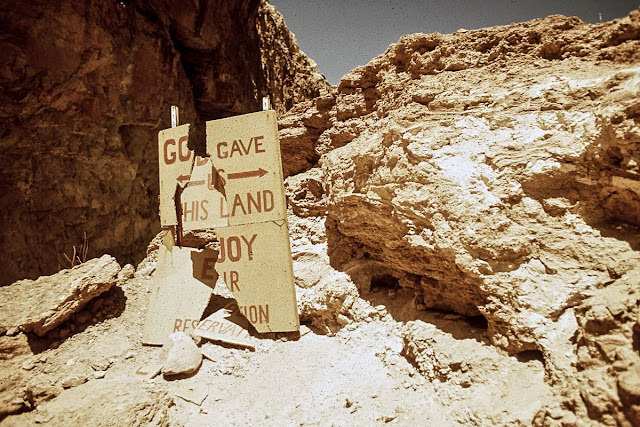 A sign damaged by tourists in Havasupai country. 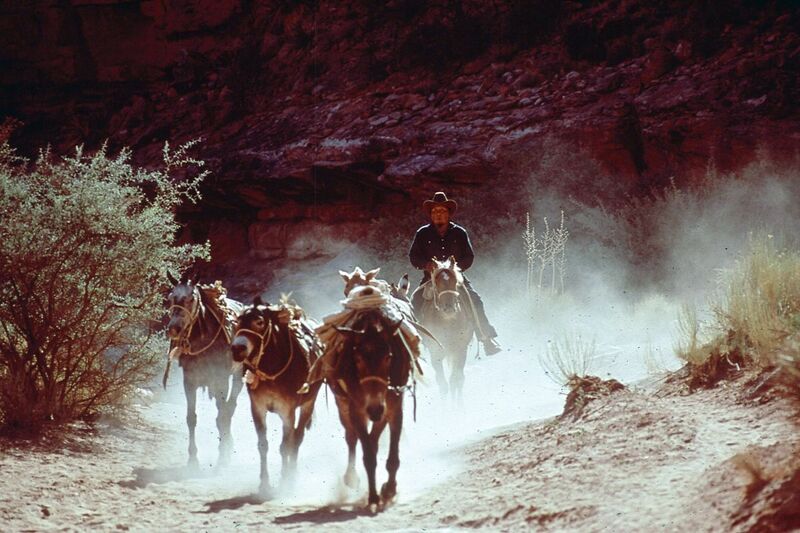 A man rides a mule train into the Grand Canyon near Peach Springs, Arizona. 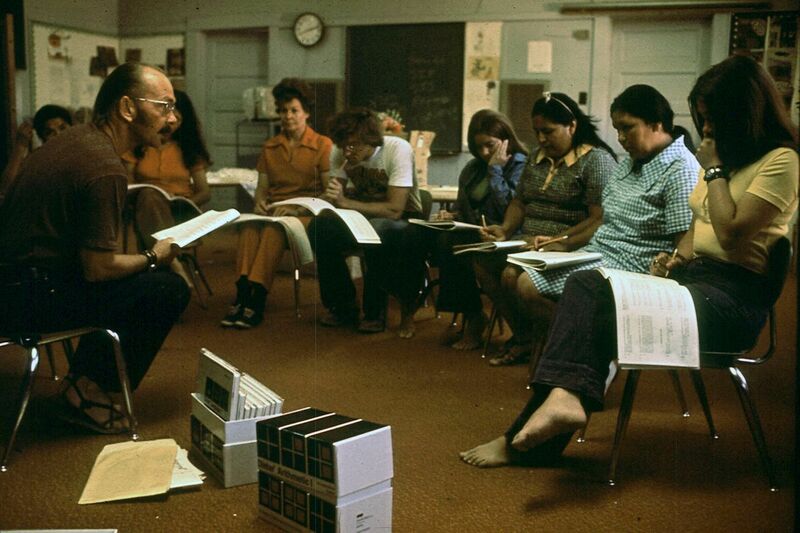 Havasupai teachers receive training in reading and language instruction in the village of Supai, Arizona. 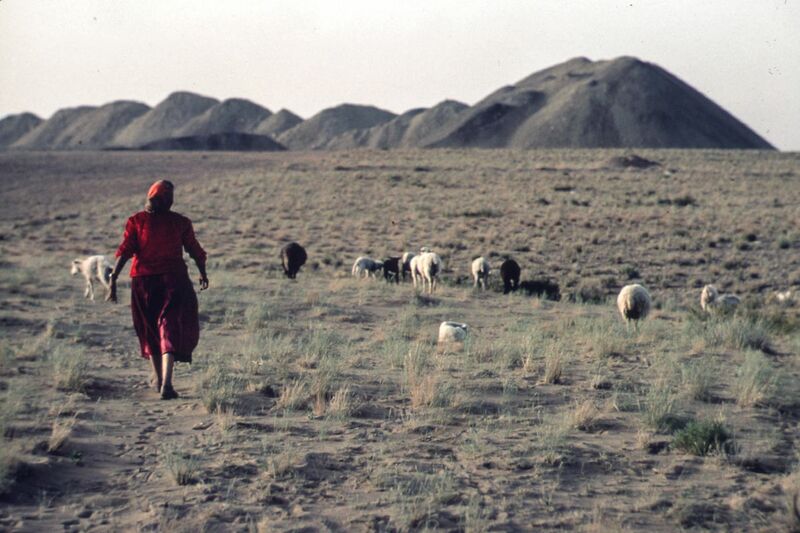 A Navajo woman near Shiprock, New Mexico. 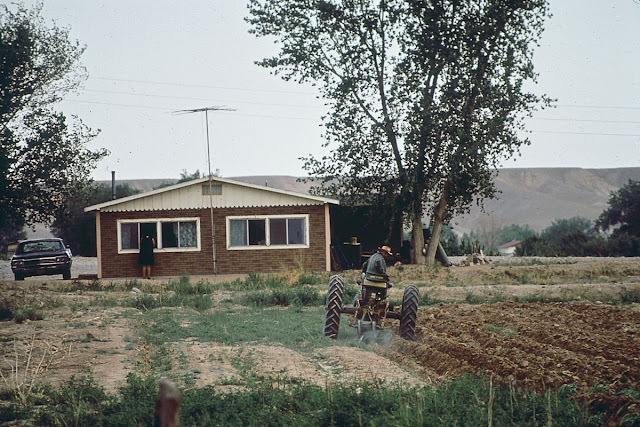 A Navajo man plows his garden in Shiprock, New Mexico. 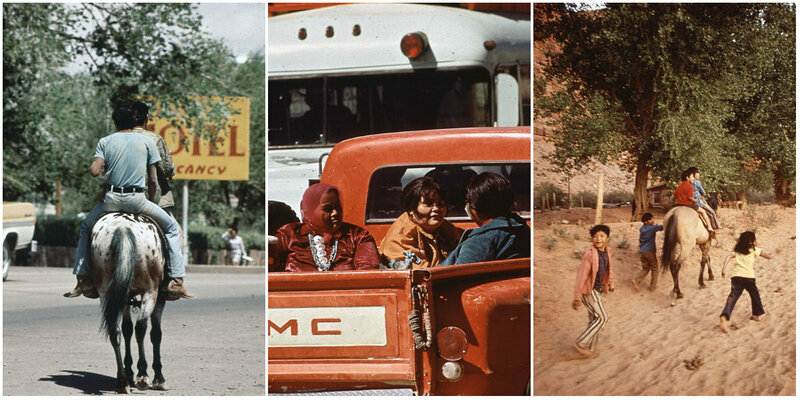 Navajo people ride into the town of Window Rock, Arizona. 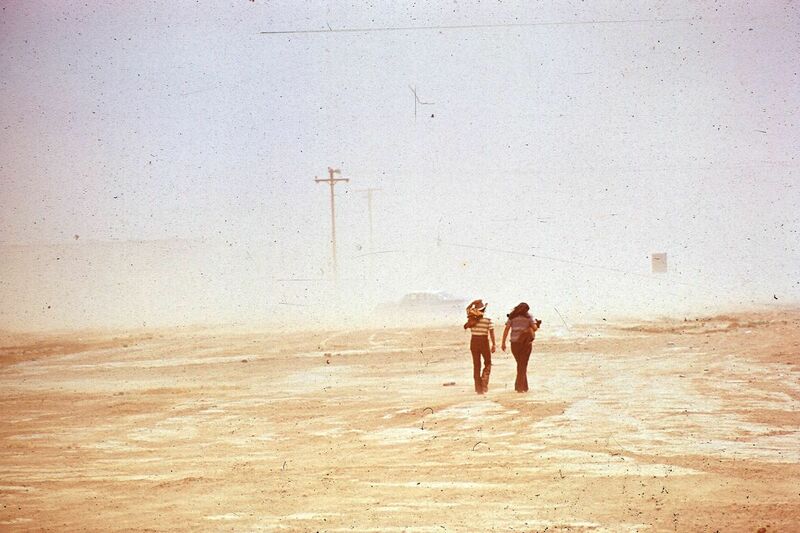 Men walk through a dust storm in Shiprock, New Mexico. Navajo people in the town of Window Rock, Arizona. 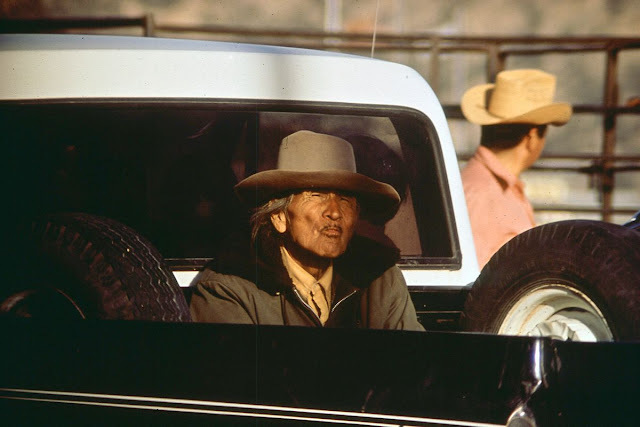 A Navajo man in the town of Window Rock, Arizona. 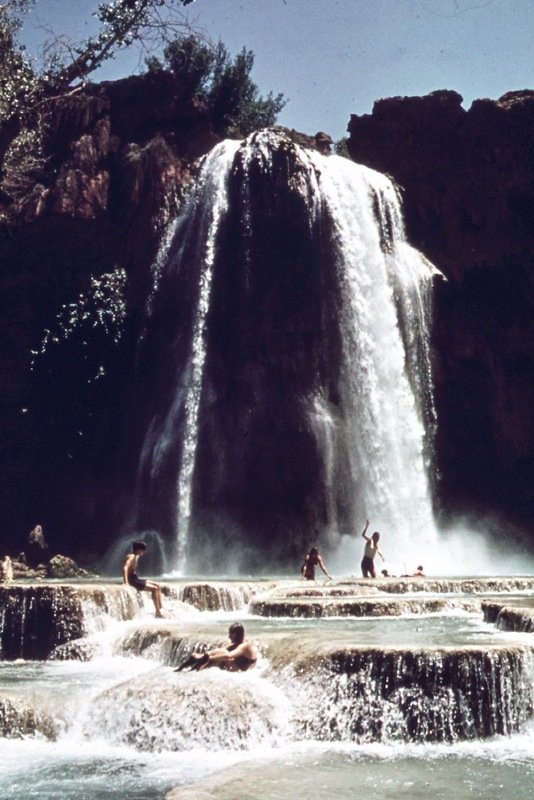 Havasu Falls, near the village of Supai, Arizona in the Grand Canyon. A tourist swims in Havasu Creek near Supai, Arizona. Children in the village of Supai, Arizona in the Grand Canyon. 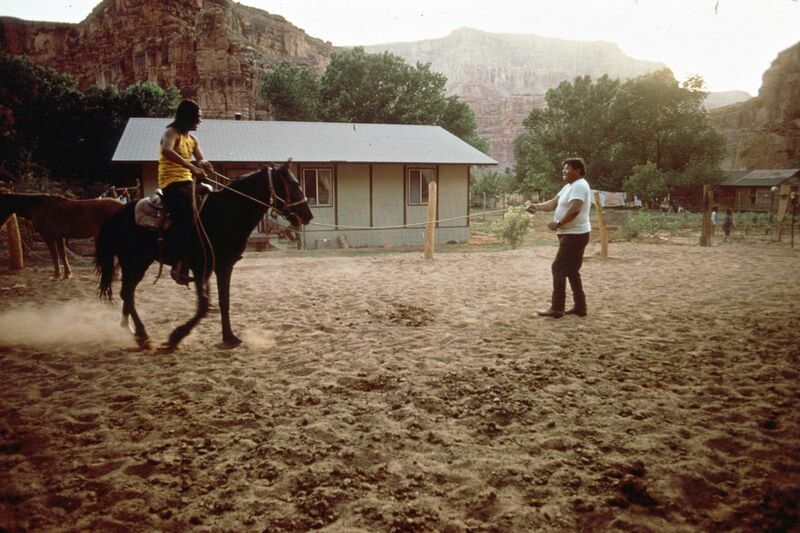 Hank Talman's home in Red Rock, Arizona. Navajo Hank Talman's home in Red Rock, Arizona has neither electricity nor running water. A sheep paddock in the Navajo Reservation in Coconino county, Arizona. 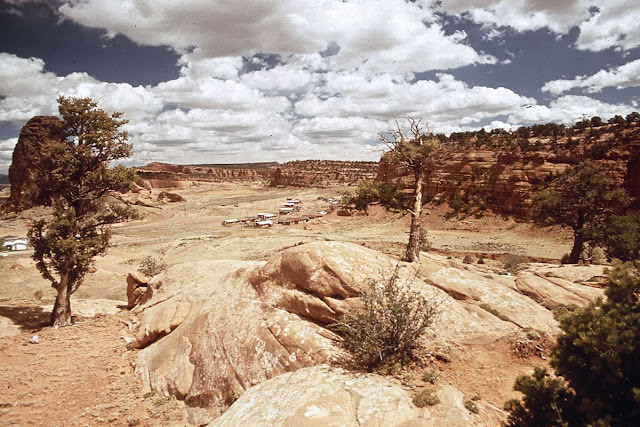 The town of Moenkopi, Arizona. 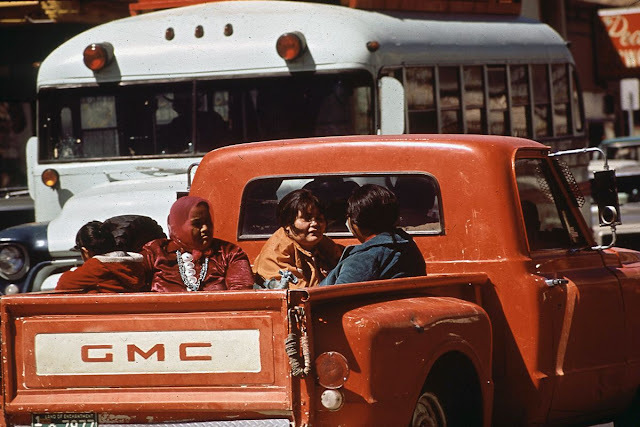 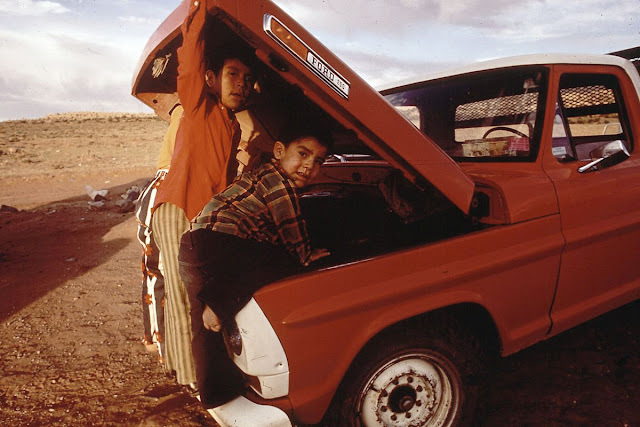 Navajo children examine their family truck in Red Rock, Arizona. 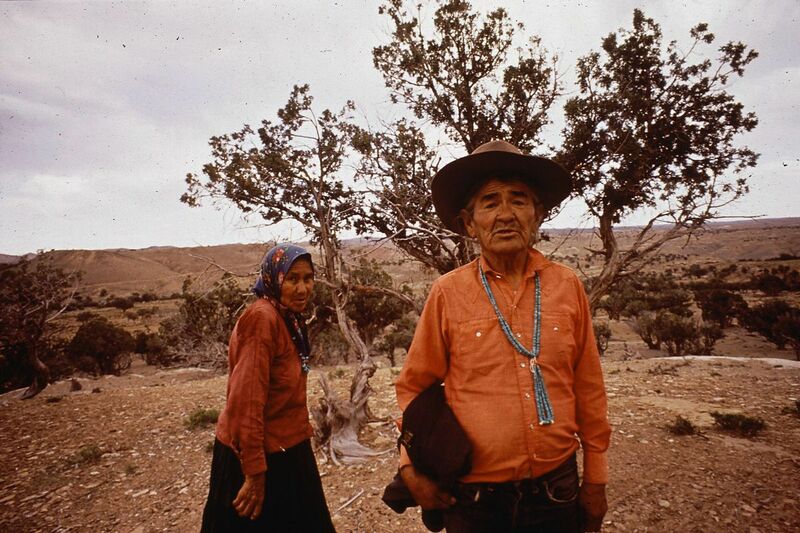 A man and woman on the Navajo Reservation in Coconino county, Arizona. 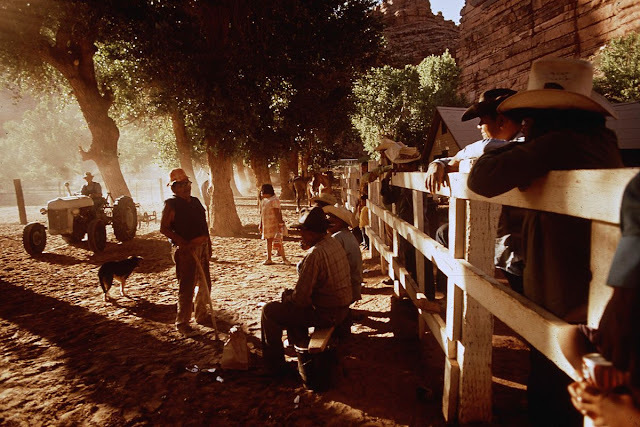 The village of Supai, Arizona. A Havasupai man rides into the Grand Canyon on the way to the village of Supai, Arizona. 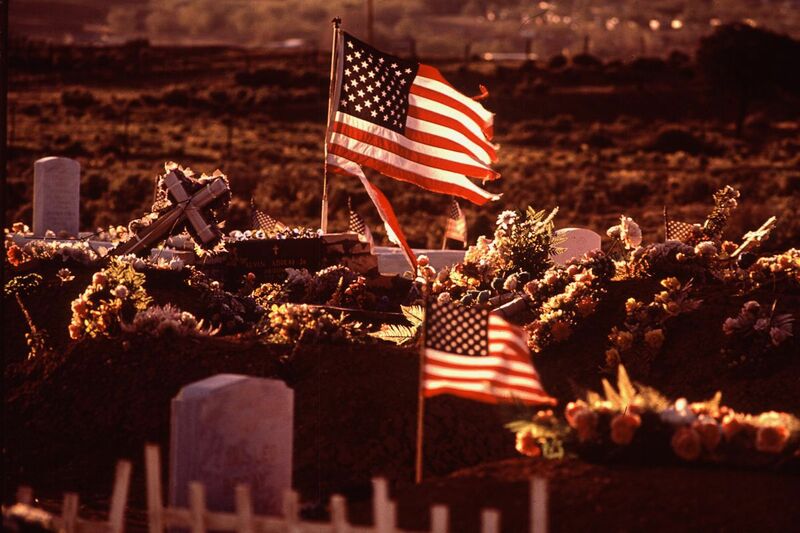 A veterans' cemetery in Window Rock, Arizona. Navajo children play in the sand behind new housing under construction. A Navajo community in Arizona. 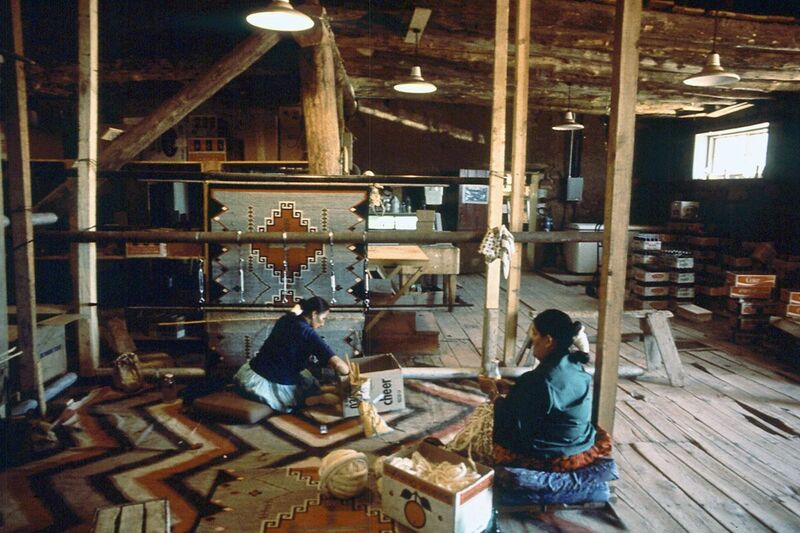 Navajo women weave rugs at the Hubbel Trading Post in Ganado, Arizona. 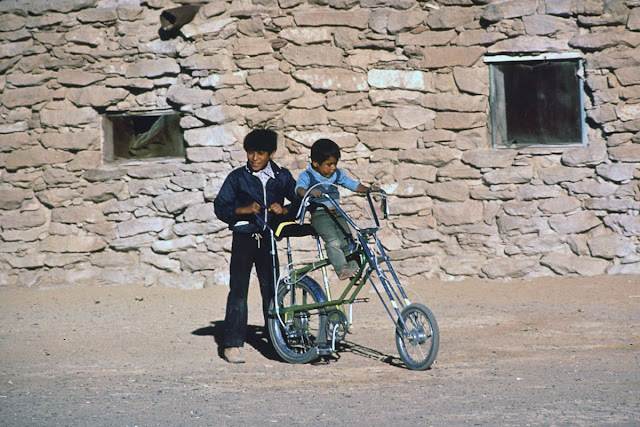 Children on the Hopi Reservation in Arizona. A Navajo man who was injured in a coal mine near Black Mesa, Arizona. A Navajo shepherd near Four Corners, Utah. 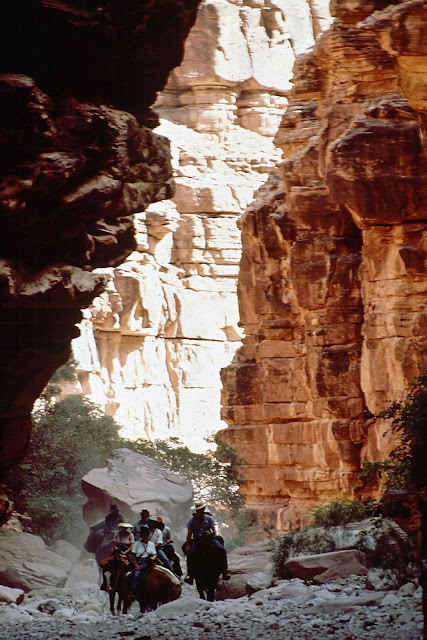 Men ride into the Grand Canyon on the way to the village of Supai, Arizona. 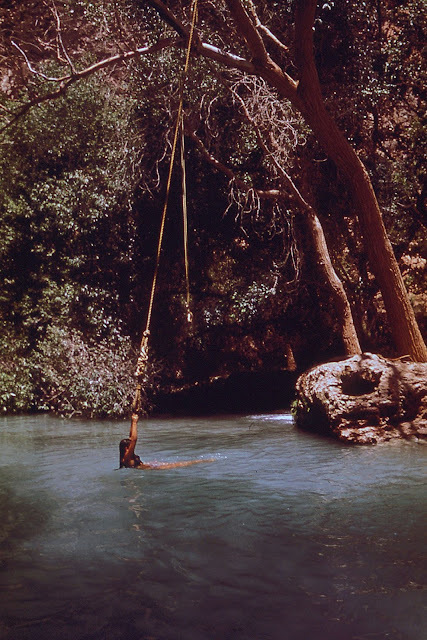 A woman swims in Havasu Creek. 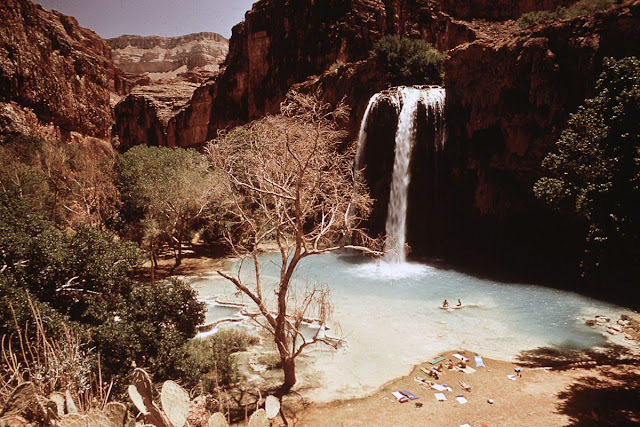 Tourists bath beneath Havasu Falls. 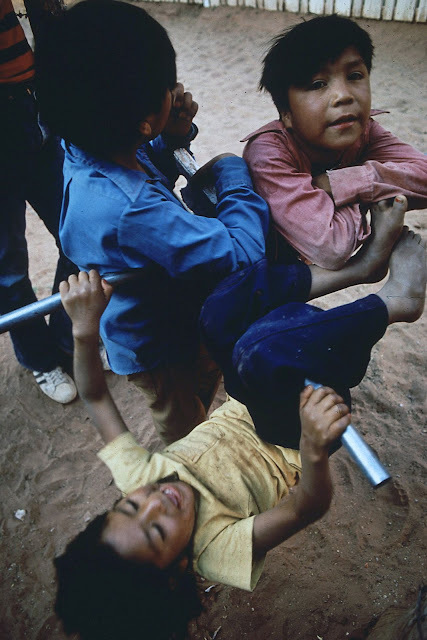 Children play on the Navajo Reservation in Arizona. 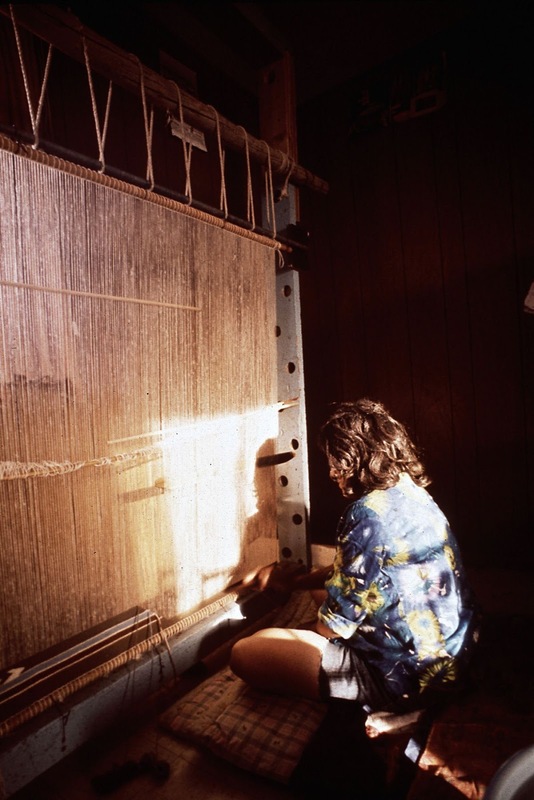 A woman weaves a rug at the Hubbard Trading Post on the Navajo Reservation in Arizona. 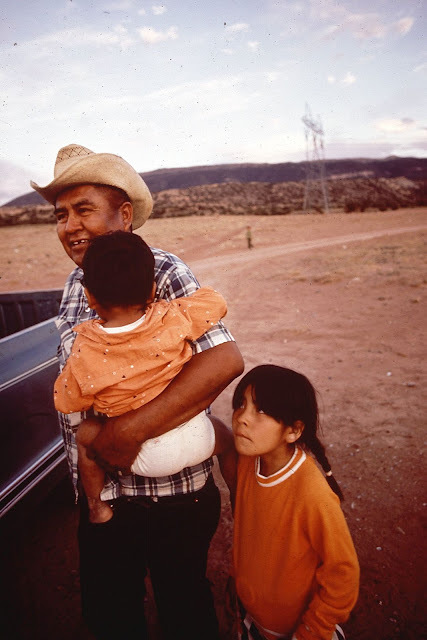 A Navajo father and children in Arizona. 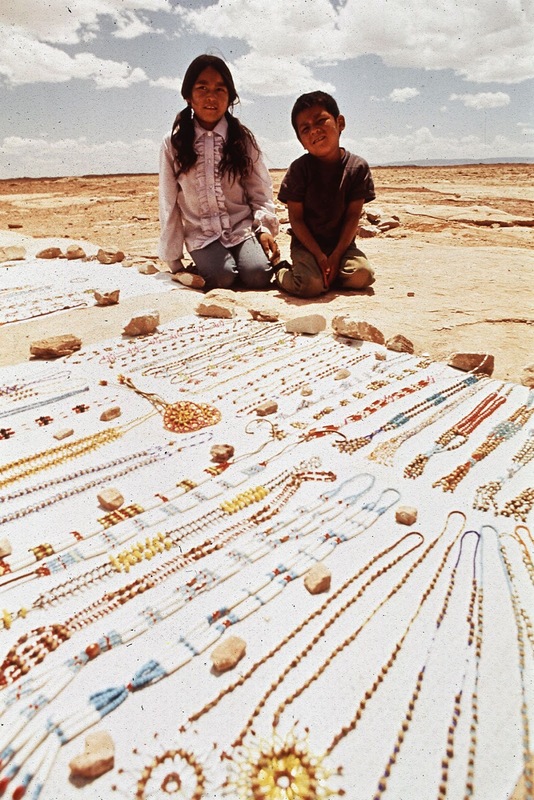 Children sell beads on the Navajo Reservation in Arizona. 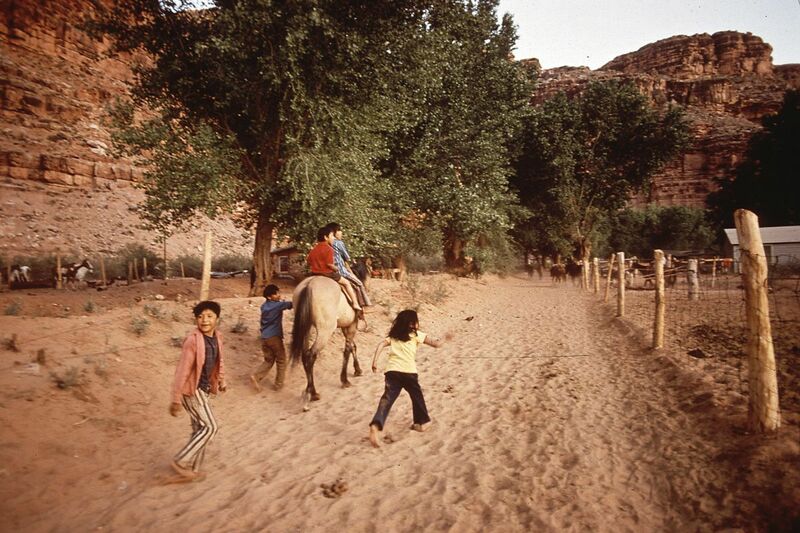 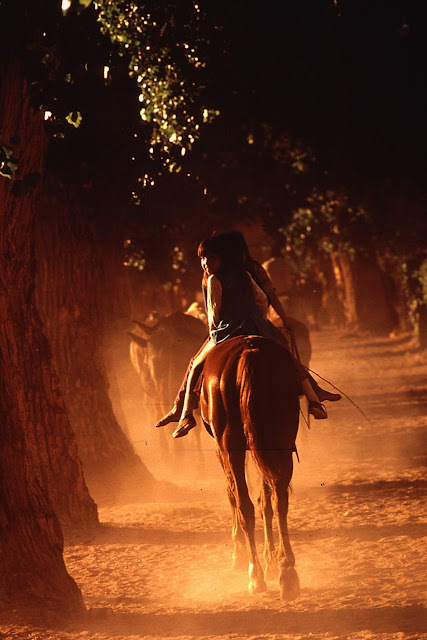 Children ride a horse in the village of Supai, Arizona. 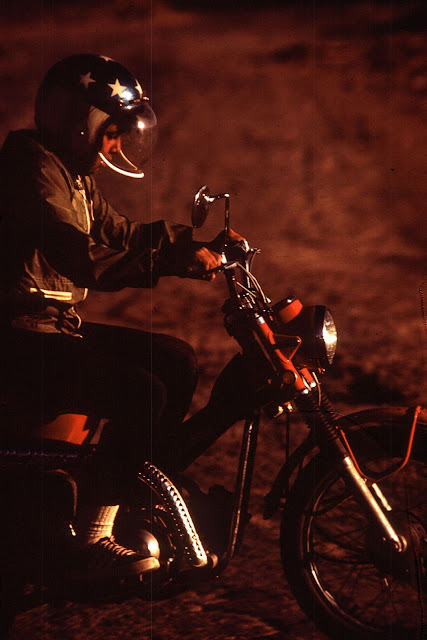 A young Navajo rides a motorcycle in Window Rock, Arizona.